Anxiously waiting with a laptop in my hand, ready with my questions. Waiting for that Epiphany, that Moment of truth where I feel that my guest has finally arrived. They say that in his reign, it may get delayed, but there’s never darkness. (देर है पर अंधेर नहीं….) By now, I’m positive that you have guessed it. Today, I’m in a candid, open hearted conversation with GOD – The Almighty himself! I’m equal parts nervous and excited because honestly, we’ve been in conversation so many times. I’m more pally than a devotee per se. But today, since I have to reveal his ‘pally’ side to the world, I’m just a bit jittery of how he’s going to respond. This blog is a part of my participation in the Write Tribe Festival of Words #6. The prompt for today is to feature a guest blog or an interview. So you know what I chose. Me:- What is God if all your superpowers are taken away? God: I’m still God because no one can take my super powers away. Not like my creations have never tried (and failed miserably) but don’t you think it’s kind of impossible? Keep a tab on your wishful thinking, you HUMAN. Me: What do you do in your leisure time? God: I create masterpieces. So the ‘most successful’ or the ‘biggest failure’ are both masterpieces I made in my free time. Same goes for the prettiest & the ugliest of people, and so on. Some turn out really awesome and some are just Beh..! I also like to nap in between my routines. But you Humans go berserk every time I nap. You go on War or plan terrorist attacks and just mess it all up – Just like your toddler ruins everything in the kitchen while you nap. Then you go – “oh god save us!”. Me: That’s what I was coming to next. People complain that the problem with God is that he doesn’t listen to their prayers. They suffer from illnesses, they’re in difficult situations in life, they are stuck in war zones or terrorist attacks. Just wanted to know, why so?! God: When you wake up from deep slumber with your kids slaying the house, Do you listen to them or you just whack them? Me: Errmm… Please? May I request you to answer this for us? God: See, I have this set of cards & a team of demigods who are responsible. I’m God. I can’t personally sit down and manage your entire population on earth. So they have religions allotted. Whenever there is an incoming prayer from their religion, they pick a card as response and perform as per instructions on it. Like Card 542 means you will be stuck, locked in your toilet with no tissue. Card 799 means you will be saved just a few seconds before you are dying. Card 28 means someone close to you will betray you, so on & so forth. Some people are served karma right away, some take ages and some are mean and never get this karma dessert served. Now you know why! Me: So, Why the Global Warming, Earthquakes, and other Natural calamities? God: I’ve lost my patience and you guys are soo – soo many. I started with a man and a woman and thought of making a few more. Then it became so routine, that I decided to automate the process with all species. But Look at you guys! No one abused the privilege like you guys. So, time and again, I just like to shake up my jar and maybe chuck some cookies out so I can close the lid. Me: There have been stories of reincarnation is it true? does it happen? God: Yes, old bottle new packing – we all do that, don’t we? There are days when I’m bored so I just refurbish older models and send them out into the world. So targets fulfilled and mood restored! Me: Is it ok to eat non-veg food on Tuesdays? Do you really get angry and cause our life to go hay wire because I ate a leg piece or a piece of cake on a Tuesday? How do you track who ate and who didn’t ..? God: Come on now! Don’t ask me everything!! Me: Any message for the believers? God: ARE YOU KIDDING? I got so many books for you guys. Go read any of those for ‘my messages’ and kill some time y’all. God: You don’t give a damn about me? Guess what, I don’t give a damn about you! But if you mess with God, you know, I can have my team pick the worse of cards. The benefit with God is that I get to decide! Me: Well, I really Thank You for your time and making an Interview with God possible. I’m sure my readers will enjoy the insight into how our life actually works! God: Of course, the pleasure is Yours alone. You just killed my nap time. But still, I’d sign off by saying, if you need me, just think of me and all that – you know that gig, right?! Me: Yes, God! Thank you, Almighty! I hope you enjoyed reading this Interview with God. Amazing out of the box thinking just like always Prisha. Lovely interview with god. Wow i really like the idea behind this. Never read such an amazing interview with god. Your question and answers series keep the interest of your post. And specially the GIFs are so funny. Really wonderdul post. I totally njoyd this question answer series….. Quite different… N best was “god: y.do u ask me fr everything..” it’s a reality check…. Wow! Such an interesting read. Love the idea behind this post. You thought about the prompt in a very very creative way!! Kudos!! Will love to read more such posts. Such a wonderful read Prisha. I couldn’t stop laughing all through. But I can also see some serious overtones behind this humour. As usual, a great output from a creative mind like yours. Just loved the idea .Highly creative .All the best! That was amazing post. I recalled “A letter to God” fiction from my 10th std text book. Loved reading it. Those GIFs are so hilarious. Beautiful! I connect to this article! So we’ll worded! Nice way of imagining all of the above and putting it across. Great job. This is an interesting write up and I love it a lot. And I must tell you that you have really extraordinary thinking while you write down. Creative piece for the given prompt. Your posts are loaded with positive vibes and warmth. Just enjoyed reading each line of this post. The Morgan Freeman voice definitely makes it quite interesting. “Pleasure is all yours” ROFL…..I am loving this version of God. And yes, Morgan Freeman does come real close to portraying GOD. I especially liked your style of writing. Very entertaining yet meaningful. Superb!!! Once again your gifs are killing it here. Hilarious. Morgan Freeman is indeed my most fav God I think. And i loved your ate non veg on tuesday question. Hilarious. This piece gleams with brilliance, from the physical portrayal to bringing His personality out with each answer and justifying all “acts of God” in such an understandable way, I mean – Standing ovation!!! I would like to republish it on my blog as you being the guest writer. Can I? I literally fell off the chair and LOLed after reading this! Unique Post 🙂 as always. You rock girl! Well, Indeed this is an amazing way of portraying a conversation. And yes, I imagined Morgan Freeman talking only. He was amazing in the movie! A great post, and the greatness of the topic is more behind the idea that has gone in executing that idea with such excellence. We all keep talking to God and we do so in our private space and we keep raising such profound questions but really more interesting is the way you have handled those questions and come with such wise answers. Indeed God also need rest and how can we blame God when we do such idiotic things in his absence and question him for we carelessly engaging in such stupidity. Introducing Morgan Freeman is a crafty choice, this dialogue with God as a very well scripted movie unfolds as if it getting screened in front of us. 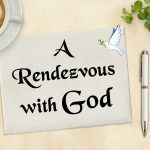 It was indeed a delight being part of your wonderful Rendezvous with God.